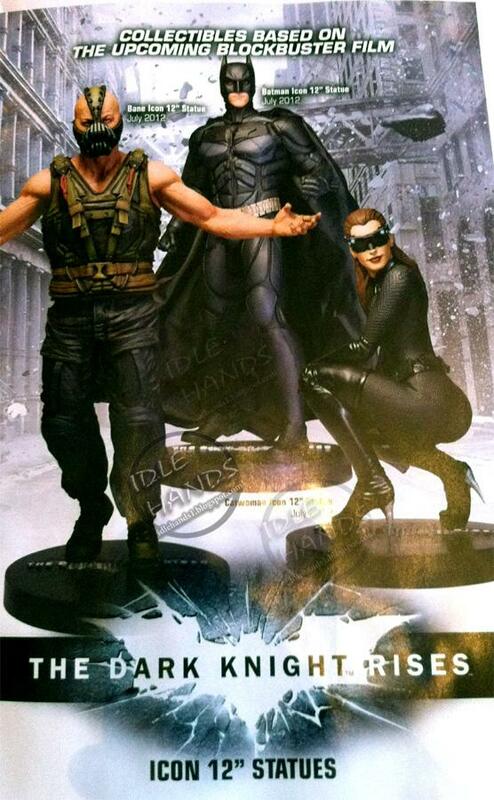 The first picture is the Dark Knight Rises statues has been released. The series will feature the three main comic icons, Batman, Bane and Catwoman. The statues will be released in July with the movie and at the moment it looks like they will retail at $150-$200. The statues will be a cheaper alternative to the equaly high detail hot toys versions which will be released a few weeks later but feature full articulation.